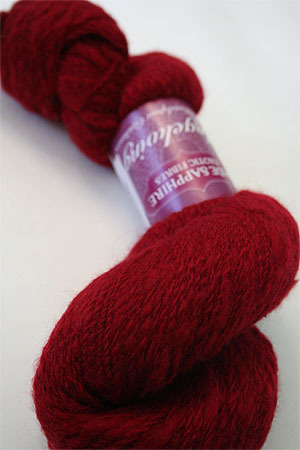 Amazing and bull-free, this intense red color will satisfy your cravings for a hot, hot red yarn color. Especially in cashmere, this color just works! You can see it knit up in the netsuke wrap at right!